In my last post, I shared the wonderful photograph I received of Amalia Hamberg and Jacob Baer from one of their descendants. Before posting it here, I shared it with other descendants of Amalia and Jacob, and that prompted some of those descendants to share some other photographs. Thank you to the extended Baer family for allowing me to publish these photos. 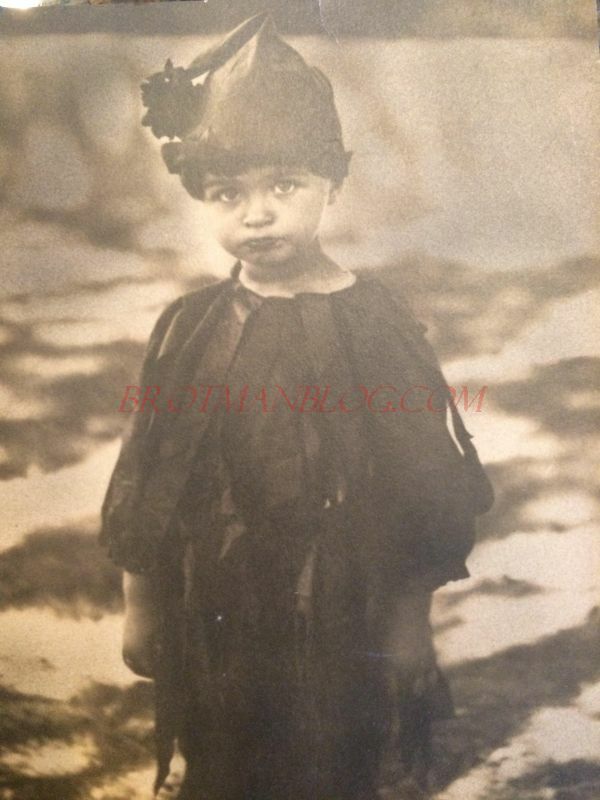 First is a photograph of Lawrence Baer, Amalia and Jacob’s youngest child, born in 1891 in PIttsburgh. Lawrence became one of the principal innovators and executives at the family-owned jewelry business, Attleboro Manufacturing. This photograph was taken in 1924. The little boy in the center is John Degen Baer, Lawrence’s son. He would have been three years old in this photograph. The individual on the right is not known. Here is a photograph of Lawrence Baer’s first wife and John Degen Baer’s mother, Donna Degen. This photograph was not dated, but it looks like the 1920s to me. Finally, here is a photograph of Olivia Ganong Baer, Lawrence Baer’s second wife, and Minette Brigham Baer, John Degen Baer’s first wife, with Lawrence in the background. John Degen Baer grew up to be a very accomplished business leader like his father. He died just a little over a year ago on November 3, 2015. Baer attended both Yale and Brown Universities, graduating from the latter in 1943. He served in the U.S. Marine Corps during World War II, having been attached to the Second Marine Division in the Pacific theater and int he Occupation of Japan. He resigned his commission in 1950. He was the owner and C.E.O. of the Bishop Company, an Ophthalmic Manufacturing Company, which he merged with the Univis Lens Company of Dayton, Ohio in 1960. The merged company, Univis, Inc., was headquartered in Ft. Lauderdale, Florida, with branch manufacturing plants in Puerto Rico, Tennessee, New York and Massachusetts. Univis was sold to Itek, Inc. in 1970. Mr. Baer established a consulting company in Atlanta, Georgia, and in 1970 joined the Edwards Baking Company as Executive Vice President. He retired from Edwards in 1978. While residing on Sea Island, Georgia, he participated in the construction and management of the Island Retreat and the Island Square apartments. Baer and his family moved to Blairsville in 1985 where he and his wife founded and managed the Truck & Gas Market. The business closed in March 1992. Baer then retired from all activity. While residing in Massachusetts, Baer served as a member of the Attleboro Zoning Board of Appeal for 12 years. He was also a Director of a local Bank and the Chamber of Commerce. For several years he served as a director of the Optical Manufacturers Association, located in New York City. While living in Oxford, Georgia, Baer was elected and served on the town Council. Thank you again to his children for sharing these photos and allowing me to see the faces behind the names of these cousins of mine. Here’s a chart showing how we are related. This entry was posted in Attleboro, Genealogy, Hambergs, Massachusetts, Photos and tagged Attleboro, Baer, Hamberg, jewelry by Amy. Bookmark the permalink. Great photos! In studying and teaching memoir writing I’ve learned the current (I call a ) fad is to write and ready your own obituary. How do you feel about that? Just curious. Too creepy for me! But probably a good way to get people thinking about the value of their own lives before it’s too late to change. I didn’t know you taught memoir writing. I’ve not done any—I am focused more on the lives of others than my own. But then sometimes I think—maybe my great-grandchildren one day will wonder what life was like for baby boomers like me! Hi, Andy—sorry for the slow response. I was out. I did get this first one, and you are so right! I should start writing stuff about my own life. Not sure I’d blog it—I am too shy for that. But writing it sounds good. And thank you for your offer of help!! No problem, Amy. I’ve had some problems with posting lately and even receiving comment from people. I thought it was just another glitch. No reason for you to apologize. After I posted the second comment I saw the first one come up, ugh. I am the one who is apologizing. Hope I can help in the future! What successful business ventures for the family. The photo of John Baer as a young boy 1924 is a real cutie. It’s interesting that as well as his time in the US Marine Corps he later served on the town Council in Oxford, Georgia. Some people feel drawn to (public) service. Yep, and we need more good people to do that these days! 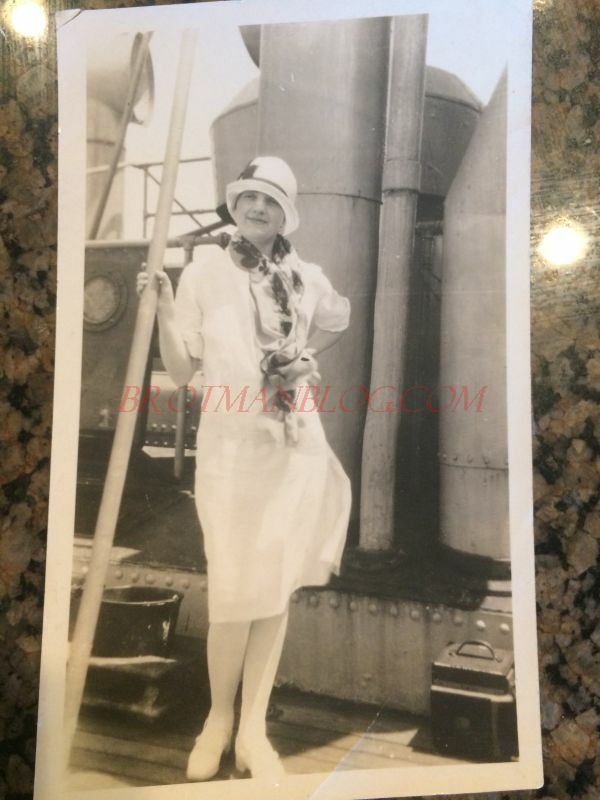 I agree, the photo of Donna Degen looks very mid to late 1920s. Yes, little John Degen was a cutie. In the 1924 photo, do you think he was dressed in costume for Purim? Here’s a big “Thank You” for John’s service during WWII and his community related activities. I hope his memory and good example live on in his descendents. I am not sure what he was dressed up for; maybe one of his children will know. I don’t think it was Purim—my sense is that John’s mother was not Jewish and he was not raised as a Jew, but I am not sure. Whenever you get any little details about any of these wonderful photos you can add that to your family tree. Along with the excellent news clips you find they provide many insights into the person’s life. Yep, perhaps the family will fill me in on more details. I hope you and your family are well also. Stay in touch! What treasures and so wonderful that they’ve shared them with you. I, too, wondered about John’s costume – so cute! DAD, John Degen Baer, actually wrote his own obit (as i am commenting to the earlier posts). As far as the costume, probably not for Purim… his dad was Jewish, Lawrence, but his Mom, was not (Donna Degen) and dad knew a little about the Jewish heritage and of course, end up fighting for them in WWII but we always grew up feeling part Jewish. My dad and grandmother (Donna Degan) converted to Christian Science in the early 70’s but dad then just went along with his third wife to the Baptist religion. He was very active with the Lion’s Club due to his background in optical manufacturing after he left Swank and before he was with Edwards. He was in the city council and actually ran for Mayor of Oxford and as children we campaigned with him going door to door. He lost because he told the truth and said we had to raise taxes to make the city functional. Oxford is where my mother is buried (Linda Hill Baer his second wife … i see never mentioned. [Edited for privacy reasons.] My dad is buried in Blairsville, GA along with his mother Donna Degen who was cremated and put in an URN Dad had, and we put the Urn in Dad’s casket when we buried him. She brought him into the world, and he took her with him when he left this world. They are together. Hi Victoria, thank you so much for this additional information about your family. I am sorry if your mother wasn’t mentioned. 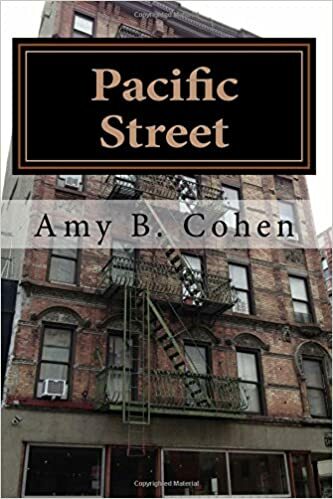 I did not have any information about her since she was so young when she died, and I generally do not write about people born that recently unless I have the family’s permission. If you have information you’d like me to post, please let me know. I do have her listed as your father’s second wife on the family tree. Thanks again for reading and commenting. Amy, how do i see the family tree? She was Linda Hill Baer born 2/14/42 and died 4/16/78. She was born in Attleboro, MA where she met my father. She had an RN degree and was practicing when my father met her. I don’t know what else you might want that I could know. Hi Linda, my tree is on Ancestry.com so if you are a subscriber, I could invite you to the tree. 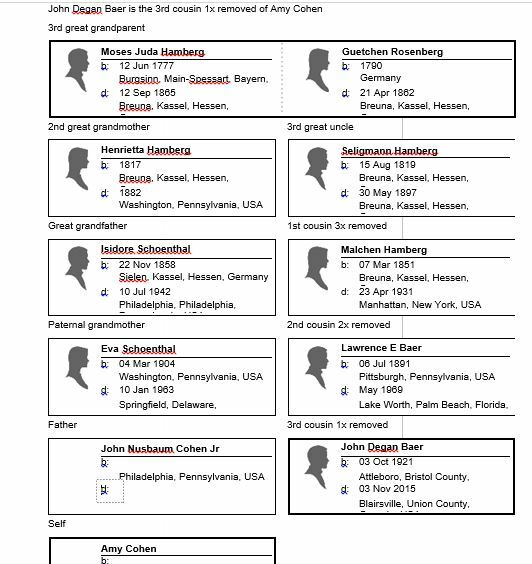 I haven’t yet added the Hamberg family tree to the blog because it’s still a work in progress. Eventually I will also post it here. Love the pictures Amy. 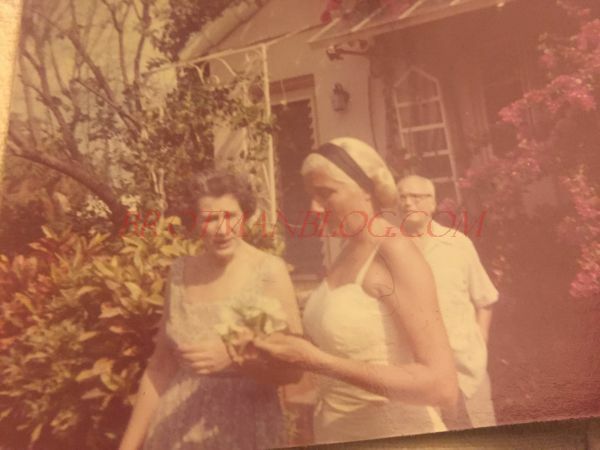 My first thought when seeing the picture of Lawrence, John and unknown woman was that she might be Lawrence Baer’s mother….grandma. Do you have any pictures of his mother to compare? I have heard and actually know of 2 people now who have written their own obit. Sure does get one thinking. When my husband passed some years back, myself and daughters wrote the worst obit with so much was left out. And the picture we posted, my goodness; I’m thinking a folder at least with facts and dates ahead of time is a great idea, hey and a picture you like could be thrown in as well, lol! Thank you, Sharon. 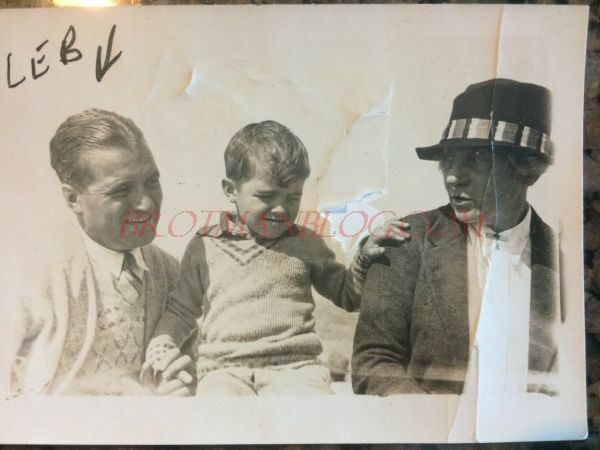 That picture was taken in 1924 when Lawrence’s mother Amalia would have been 73, so it is possible. She’s the woman in the photo in the prior post. I will go back and compare the faces. Thanks! I still feel like writing my own obit would be a bit depressing! Hmmm, that could be Amalia—with a MUCH thinner face than in the earlier photo. Maybe I should post them together and see what people think? Great photos – especially those that look to be from the 1920s. Gratifying to see one photo open the door to many others. I have the surname Bair in my family and have sometimes seen distant cousins spell it Baer. Thank you, Michael. Perhaps we are somehow distant cousins? Amy, cannot believe how many wonderful comments you receive! The photos are so important! And I am at present hunting for old(er) photos for a documentary film about a man in his 80ies. It could be so much better if we had pictures to illustrate his live while he is talking about it. It is true what they say—a picture is worth a thousand words! (Do they say that in Germany also?) Thanks, Dorothee! I was intrigued and checked, actually the German phrase is simmply the translation! What I wouldn’t give to know what John was thinking when that photograph was taken! Such a star!